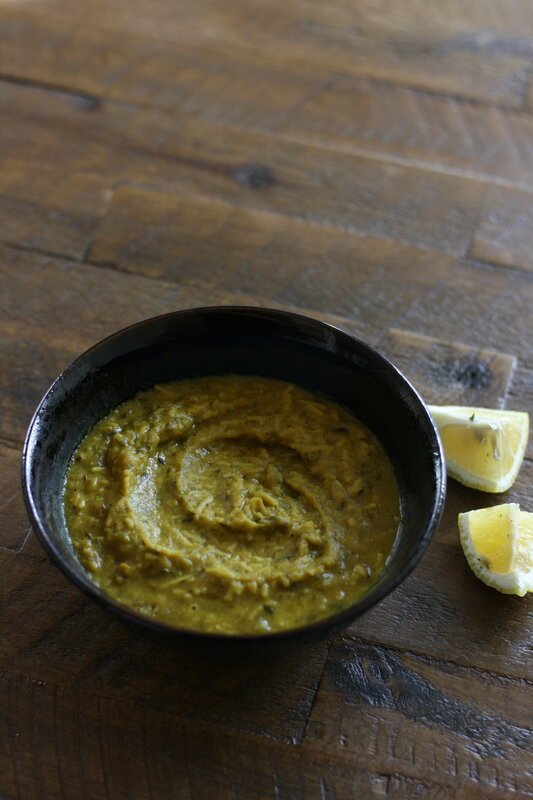 Shorbat Addas – Vegan Lentil Soup with Vermicelli Noodles & Lots of Lemon! Shorbat Addas, literally lentil soup, is an Iraqi speciality often served during Ramadhan to break the fast. It reflects its history: lentils, turmeric, Vermicelli noodles. There are variations of this soup in Palestine, Turkey, Iran, India. Iraqis seems to be the only ones who use Vermicelli in the soup. There are so many takes on this soup, and every region and family makes it differently; but I am, of course, partial to my mother’s recipe. This is the recipe I grew up with, the one that makes me think of home. The one that connects me to my roots, both lived and imagined. 1. Brown the onion in olive oil. To avoid burning, watch carefully. Add salt. Set aside to dry on a paper towel. 8. Add the finely chopped parsley, half the onions, stir. 10. Ladle the soup into bowls and top with more onions. Chef Tips: While you are prepping your lentil soup, put any leftover but clean scraps of onion, carrot, celery, and tomatoes into a pot and cover with water. Add a bunch of parsley stems and simmer for 1 hour. You now have a vegetable stock that you can strain and freeze, or use it instead of water for your soup. Make it Your Own: Try garnishing with lemon zest, yogurt, green onions, or chili powder.